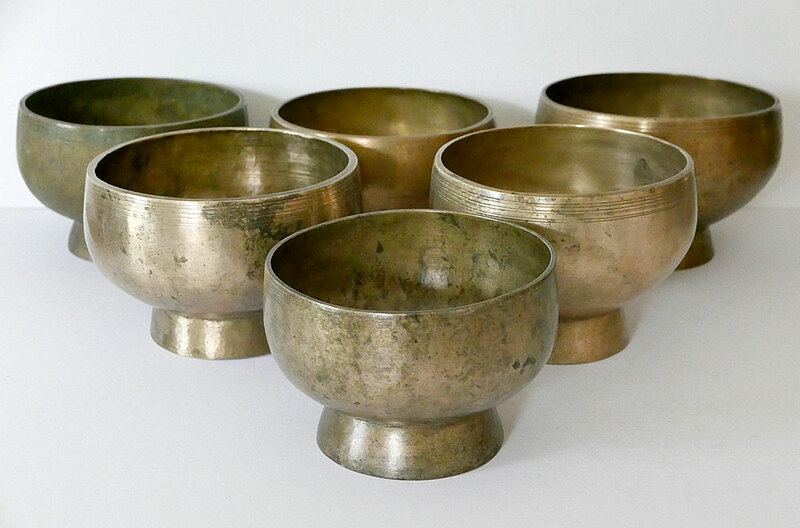 Antique singing bowls are never found in sets at source in the Himalayas. They have to be expertly created from scratch, and it is as much an art as a science to assemble a group of seemingly random bowls of a particular kind into a harmonically balanced set that is matched for note, pitch, octave, size, condition, ease of play, and any number of other factors. 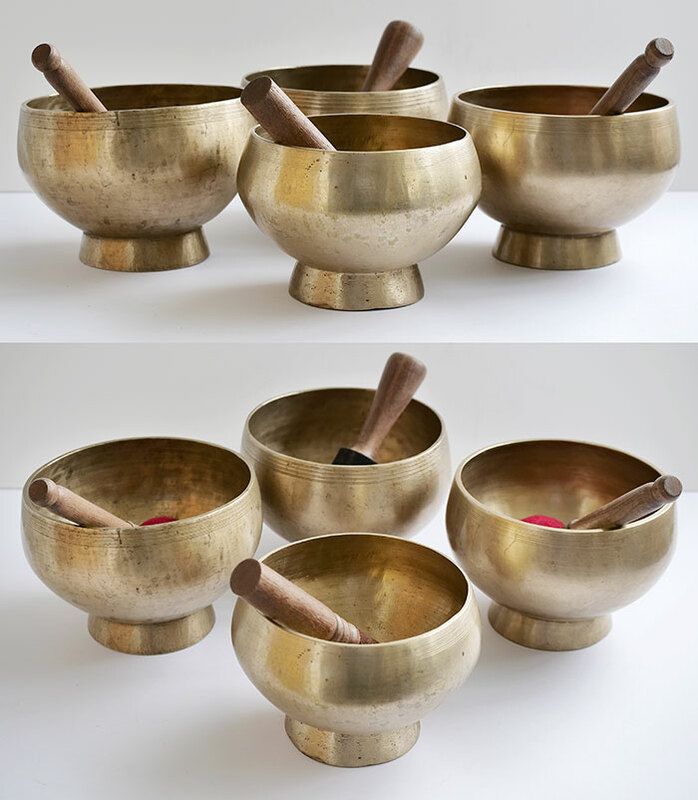 One may need to sort though a thousand or more Thadobati or Jambati bowls to create a single Chakra Set of distinction, and a matched set of rare antique Lingam bowls may take ten or more years to complete. 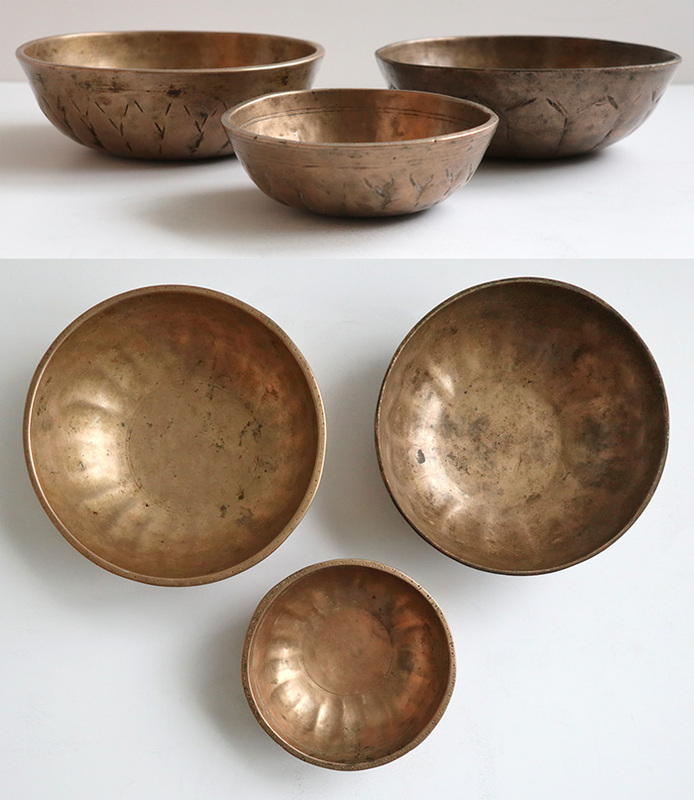 Click here for more information about Singing Bowl Sets.